Union Drive is a special road that holds crowded pathways, and sprawled brick buildings. 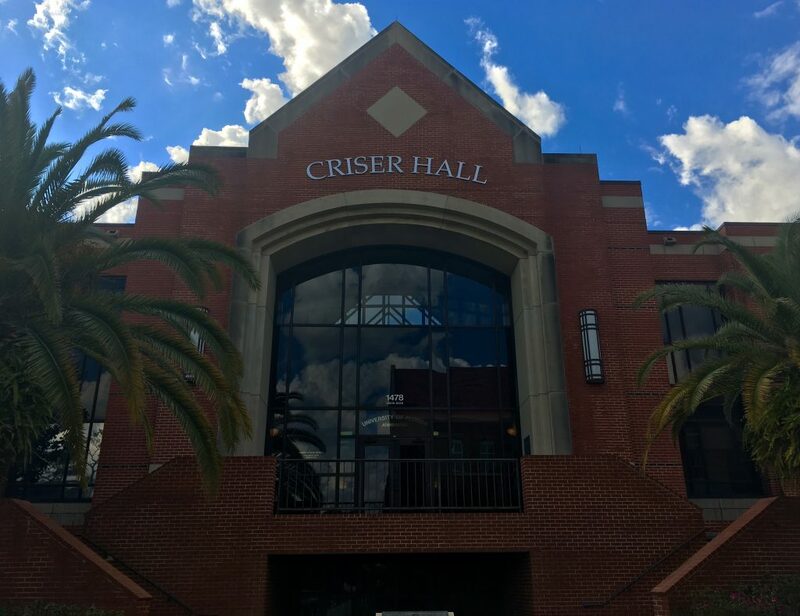 One of these buildings is Criser Hall– where the staff within holds the weight of carrying on the legacy of admitting the best and brightest UF students. 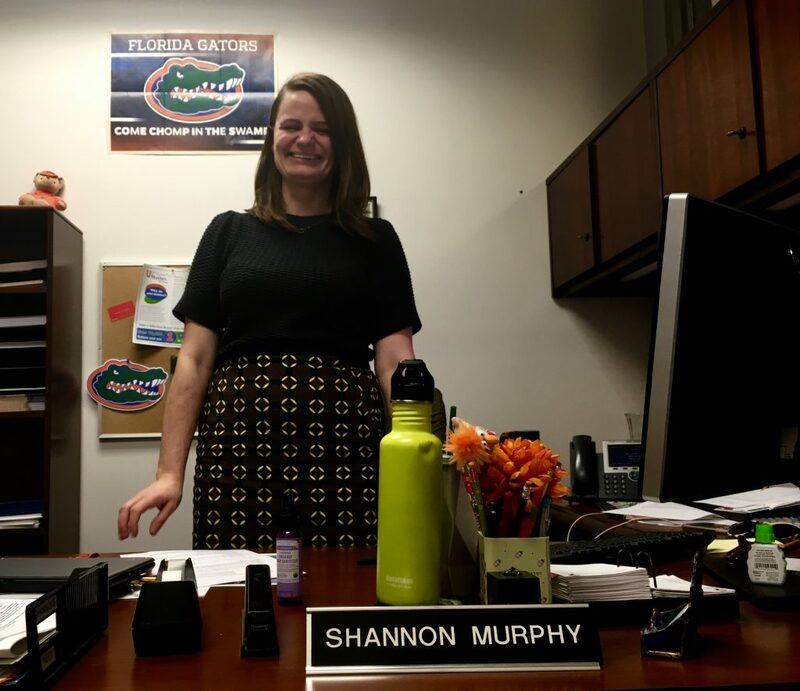 The Tab spoke with Shannon Murphy, the assistant director who has been working at the UF Office of Admissions for over 12 years. 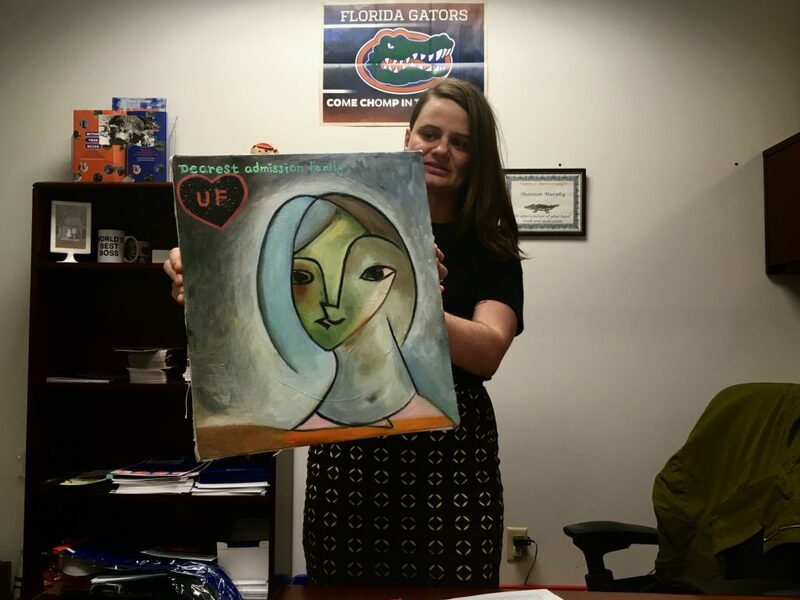 This former Gator revealed the craziest stories to happen to the office that she has experienced during her tenure. She went on to say, “The university is pretty strict about gifts, and that sort of thing, so we did send it back.” The student ultimately didn’t gain admission, as space was indeed limited. Eh, go ‘Noles then? “I think it was sent right before decisions were released just to kind of grab our attention,” said Murphy. According to Murphy, the back of the box outlined the student’s accomplishments, and the ingredients listed personality traits. Murphy still keeps it in her office because she thought it was nice. The admissions officer’s windows line the outer courtyard wall, facing a statue that sits outside the building. Allegedly, the student walked up and down that area with the sign. Next time you complain about people with signs in Turlington, remember it happens at Criser Hall too. So, the burning question: does this change how an applicant is reviewed? Receiving things in general, Murphy explains, is relatively rare. 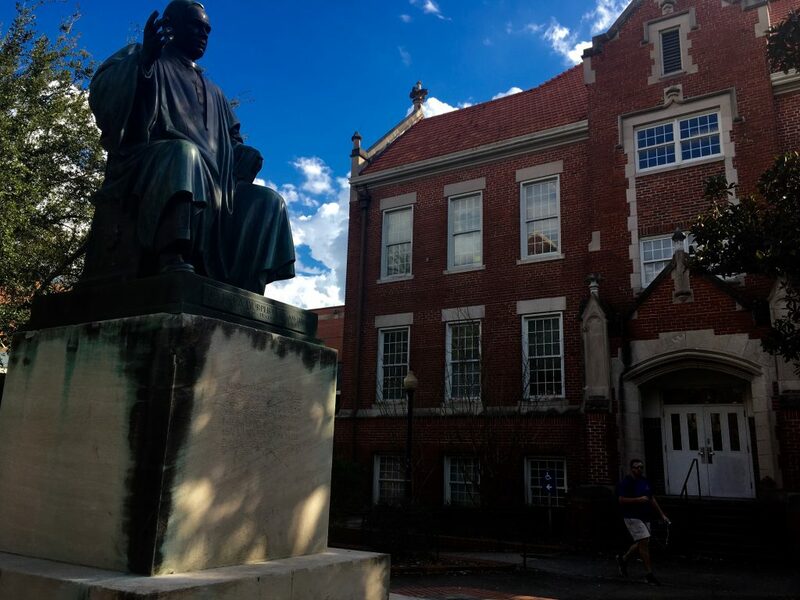 Sometimes they receive emails with students expressing disappointment, and on limited occasions, families will drive to the admissions office to speak directly with an officer. “Sometimes if people are really angry maybe they’ll yell at the front desk. Most of the time people are more upset than angry. I guess when people are talking to us they don’t really project that anger because they’re hoping that we’ll help them get in somehow.” Though many have worked to appeal the officers’ decisions, Murphy stated that less than 5% of appeals are actually successful. Even though these students were quite ~extra~ in their ways, their stories can remind us of a time we are all vaguely reminiscent of. The defining moment of opening college admissions is unnerving, yet such an exciting time. For better or for worse, good luck to those opening decisions on February 10th. And if you don’t get the response you want? Well, you can always send in something crazy. If nothing else, it’ll make for a good story.